The long hot days of summer means lots of cool, refreshing treats. Don’t let all those tempting summer desserts blow your daily points. 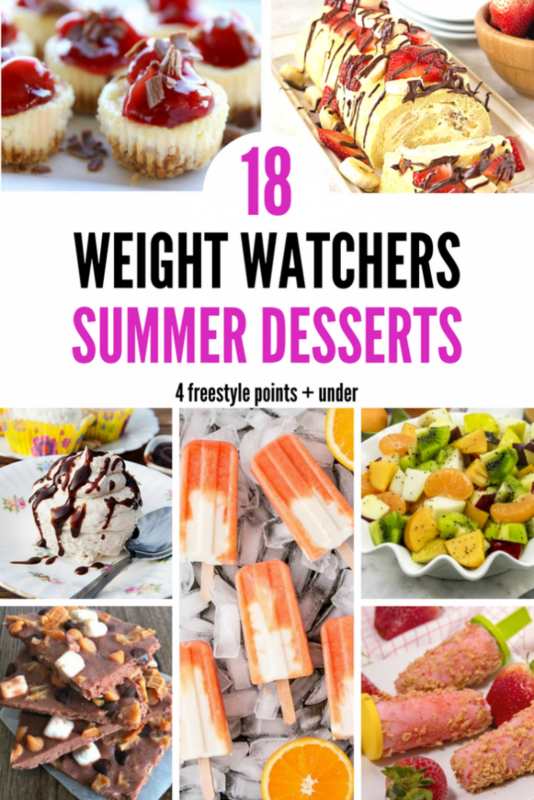 Instead, indulge in one of these very tasty Weight Watchers Summer Desserts that are only 4 points each or less. Skinny Vegan Cherry Ice Cream from Everyday Maven – 0 FREESTYLE POINTS This is a great dessert for all my Michigan friends that live near Traverse City, the Cherry Capital. Lightened Up Banana Split Cake from It’s Yummi – 1 FREESTYLE POINT Because what’s not to love about CAKE!!! Two Ingredient Watermelon Ice Cream from Slender Kitchen – 2 FREESTYLE POINTS This is a must try. We love watermelon in all its forms. Raspberry Almond Low Carb Cheesecake Bites from It’s Yummi – 2 FREESTYLE POINTS Oh for the love of cheesecake, completely worth the 2 points. Weight Watchers Fruit Salad from Life is Sweeter by Design – 2 FREESTYLE POINTS Sometimes a big bowl of fresh, cut fruit is exactly what you need on a hot summer day. Rocky Road Chocolate Frozen Yogurt Bark from Food Meanderings – 4 FREESTYLE POINTS This helps keep the chocolate cravings at bay. 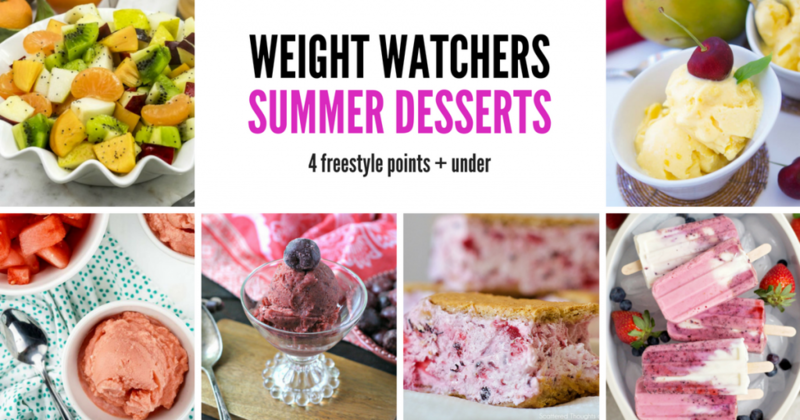 Weight Watchers Cherry Cheesecake Bites from Midlife Healthy Living – 4 FREESTYLE POINTS I could eat one of these every day. So very good.